These Numbers Have Faces is an incredible organization. I like to think of them as a scholarship program on steroids. 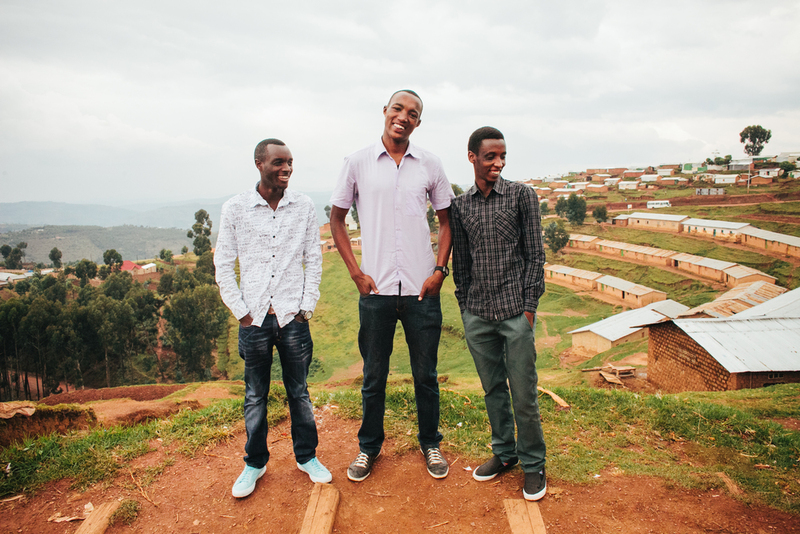 They take the best and brightest students in Rwanda, Uganda and South Africa and help put them through school. A lot of organizations might give these students opportunities to go to an American university and eventually leave Africa, but These Numbers Have Faces is different. These Numbers Have Faces sees these students as the future of Africa. These students are the hope of Africa. These numbers provides scholarships, mentoring and leadership training to these incredible students, empowering them to be the future leaders of their country. I loved getting to know these incredible students while working with These Numbers Have Faces in Rwanda. I spent time at their homes, schools and workplaces, getting to know who they are. After spending so much time with these students, I believe 100% in what These Numbers Have Faces is doing. These students are absolutely brilliant and I'm really looking forward to seeing how they impact their country as they get older. The contradiction between Gihembe and its surroundings is stark. Thousands of mud homes with UN tents used as roofs stand on top of a steep mountain overlooking a valley of green farmland. My new friend Tina would mention to her friends in Gihembe how beautiful the view is and they would just laugh and laugh and laugh. She had to convince them that despite the hardships of their camp, they were still surrounded by so much beauty. Today I visited Gihembe Refugee Camp in Rwanda. The camp is home to more than 20,000 Congolese refugees who fled their country in the midst of turmoil. Gihembe is one of the most difficult places I've visited. You can feel the helplessness in the air. Lives are held stagnant, hoping and waiting for Africa's longest war to come to an end. At the end of the day, after visiting several homes of new friends, I visited Hope School. The name couldn't be more fitting. Several years ago after UN funding was cut for high school, some of the best and brightest students from Gihembe decided to start a school. Parents were unable to pay any school fees so the teachers decided to teach for free. One teacher even turned down the opportunity of a lifetime, a paid teaching job elsewhere, because she wanted to continue pouring into her students in the camp. The school is not recognized by the government, but students continue to receive top scores on the national exam. So far I've met students who were #1, #1 and #2 in the entire country in biology, math and engineering. Even better, many of these students are being given the opportunity to attend university. These kids are the future of the Congo. There is so much hope.